Even your favorite food won’t taste as good on an airplane. The issue is that the air pressure at that altitude deadens our taste buds – kind of like having a cold. Also, our perception of salty and sweet drops 30% at high altitudes – so food tastes blander. On top of that, the lack of humidity in the cabin dries out our nose – so we can’t smell our food as well. And without our sense of smell, food tastes duller. Neurologists say they’re common and usually flare up as the plane is landing. 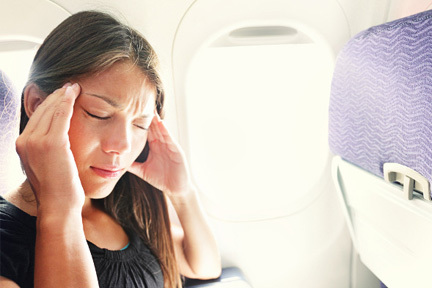 That’s because, as the cabin pressure drops as the plane descends, it can create pressure in the sinuses, triggering head pain. So, how can you arrive at your destination headache-free? 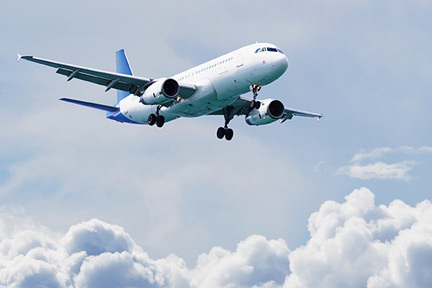 Doctors say about an hour before landing, take an anti-inflammatory painkiller, like ibuprofen or naproxen. And use a nasal decongestant spray to open up your sinuses so they depressurize as the plane descends. Here’s a fun photo taken when we filmed ‘Flying High’ in 1978-1979.